I know there are a few differing opinions about coffee around these parts (there are good things about coffee and bad things about coffee), but I consider myself to be firmly in the pro-coffee camp. Like many of you, I look forward to my morning cup of sunshine from the minute I wake up. There are so many ways to make your coffee in the morning. Coffeemakers, french presses, percolators, instant coffee, and of course the oft-reviled, newfangled appliance du jour: the single-cup coffee machine. I’m going to go ahead and admit to owning a Keurig. My husband and I have very different schedules and I have a low tolerance for caffeine, so I rarely need to make more than one cup of coffee at a time. In that way, a Keurig is a great choice for us. I know what you’re thinking: they’re wasteful, unnecessary, and horrible for the environment. And you’re right, in a way. Single-serve coffee machines can be all of those things. But they don’t have to be. We’ve figured out a few ways to use our Keurig that lessen its environmental impact, and I thought I’d share them. 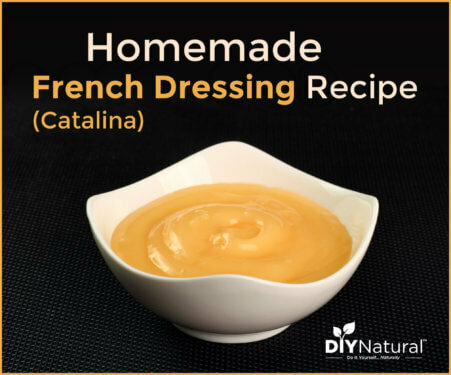 Whether you’re new to the natural lifestyle and hoping to make some changes or you’re an old pro with a weak spot for convenience, I think these ideas can help you out. 1. Use a reusable coffee pod. If you’re only going to make one change in your morning routine, it has to be switching to a reusable coffee pod. (This one is BPA free!) It is admittedly less convenient: you’ll have to fill your pod yourself and wash it out when you’re finished, but you’ll be saving so much packaging. Check out this article by Grist with the frightening title: “Trash from the K-Cups sold last year would circle the Earth almost 11 times.” If that won’t scare you into using the reusable coffee pod 100% of the time, then I don’t know what will. 2. Buy environmentally friendly coffee. Buying coffee with sustainability in mind can be an overwhelming experience. There are so many labels: organic, shade-grown, rainforest alliance certified, fair trade, etc. How are we supposed to know what to buy? It’s always a good idea to look for coffee that is shade-grown. Shade-grown coffee is grown under the cover of trees and discourages the clear-cutting that has taken place to make room for coffee bean plantations. If you’re looking for all of the above, try to find coffee that is labeled Bird-Friendly. As a bonus, every time you buy Bird Friendly certified coffee, money is donated directly to the Smithsonian Migratory Bird Center. For a really helpful breakdown of sustainably-grown coffee terminology, check out this article from GOOD Magazine. 3. Keep your coffee-maker clean, naturally. One common complaint I’ve heard about single-serve coffeemakers is that they’re difficult to clean. Personally, I haven’t found that to be the case. As long as the water reservoir is taken off and washed regularly, it should stay clean. Cleaning the inside of your machine is simple, too. Every month or so, run a solution of one part water and one part white vinegar through your coffeemaker as a way of cleaning out the build-up that may have accumulated inside the machine. 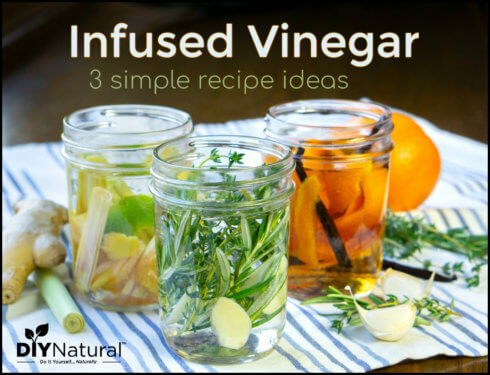 Repeat until the water runs clear, and then run a few cycles with plain water to flush the vinegar. When the hot water that comes out of the machine no longer smells of vinegar, you’re finished! Keep your Keurig turned off and unplugged when you aren’t using it. No need to waste that vampire energy! Always compost your coffee grounds. They’re a good source of nitrogen and great for plants that like acidic soil. Don’t forget that Keurigs are useful for more than just coffee. They also work for tea and other hot drinks. Mix your coffee with good stuff. Organic natural sweeteners and organic half and half are great options for sweetening up your coffee. So, tell me, do you use a Keurig? How have you made it more sustainable? Please share in the comments section below! Here is a follow up to the “mold” issue. Bottom line, we have the right to exercise “choice” and whether a consumer chooses to use a Keurig or not is a personal decision. It’s fits some people’s needs and for other people, alternatives are a better fit. I’ll bet that people who are anti-Keurig have other habits that might be viewed as environmentally unfriendly. I highly doubt that even “green” consumers are totally environmentally friendly in all that they do. I like using my Keurig when I’m pressed for time. I use my refillable pod or even better, my Hamilton Beach The Scoop, when I am able to take the time to prep my coffee and deal with used grounds. I like having choice. I clean my Keurig regularly with vinegar and wash the water tank out on a regular basis. I haven’t experienced any health issues. There’s lots of other “things” in our food sources that do bother me….like packaged baked goods and lunch meats. I simply avoid those. I judge no one. Eat what you want, drink what you want. It’s more about having the “choices” available to exercise that freedom. I was a big believer in the keurig until I wound up in the hospital for the last 6 days with a bacterial infection that has caused so many problems to my body. My daughter being the concerned adult sent me this today. It’s very worth reading. I’m not sure what a big fan of keurig I am now unless someone can prove different. Not to long ago I posted on this very site how much I love my keurig. We use a Keurig and felt really bad about all the waste we were producing! Sure, it’s nice to just pop that pod in and be on your way, but it is so bad for the environment! So, for the last year, we have taken the extra time every morning to use the reusable pod and it works great. Yes, we complain about how it takes longer and we have to clean out the pod, but in the end it is better. We can also use the grounds for our tomato and pepper plants! I’ve also read that report before, Zina. In Keurig’s defense, I’d have to say that there is always water in most electric coffee pots. It gets run thru every day, so it would be hard for mold to grow in it. Mold grows when water is stagnant for long periods of time. Also, people think nothing of spending billions of dollars a year to buy bottled water – in plastic bottles, so why anyone would think having a cup of hot coffee run thru a plastic container for a minute or less is any worse, I don’t know. The covering on the KCups is made of a light aluminum foil. We cover our baking dishes with aluminum foil and bake food setting right on aluminum foil and we don’t think a thing of that, either. The woman who wrote that article may very well have kicked her Keurig to the curb, but I’m sure not going to do that to mine. It was mentioned that, “I know what you’re thinking: they’re wasteful, unnecessary, and horrible for the environment”. Thanks to all who gave answers to my question. I appreciate the help. we have a keurig that has a tank on the side. we do make coffee one cup at a time, but, it holds several cups of water. 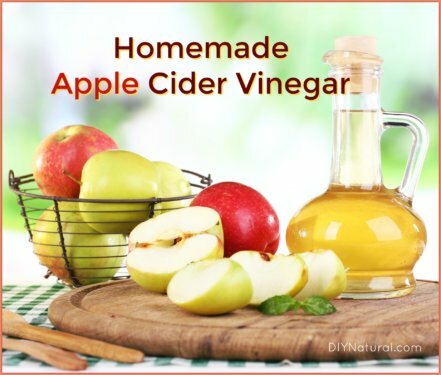 because of this, we can not put vinegar in it to make one cup to clean it. any ideas on how to clean? Alma…I would put the vinegar right into where you put the water and run it like you were making a cup of coffee about 8 times only without the k-cup or filter. That’s how I always cleaned all my keurigs when the descale light went on. If I had any doubt that the water wasn’t clear yet, I’d run it through a few more times. Alma, you most definitely can clean your Keurig with vinegar. You should either check the instruction booklet that came with it, or if you don’t have it, type into your browser “Cleaning Keurig brewer” and it should come up. You do have to run the brewer several times with plain water after the vinegar has gone thru the machine to remove any residue and taste the vinegar leaves behind. Hi, Alma! I think everyone has answered your question, but yes, you can either empty you tank or wait until it is empty to pour the vinegar into it. You’ll have to fill it with water next, and run a few cups through to get rid of the vinegar smell, and you’ll be fine. Unfortunately, today’s keurig doesn’t allow the use of reuseable filters. I use to use them all the time until I upgraded to the 2.0. They thought of everything. You can no longer use them or any k-cup that doesn’t have the keurig logo. A digital screen comes up and tells you why it’s not brewing your coffee. It’s such a racket just like cell phone chargers, always having to buy a new one with each phone. I can string several Christmas trees with all the chargers I have from past phones. Last summer I composted the grounds and paper filter out of the plastic cups then used the cups for starting seeds. I had a fabulous harvest of basil. The small cup size makes great starters for small seeds which also have smaller root systems as seedlings. I kept them and will re-use them again this next season too. I have been looking into a keurig type pot for a gift. My friends each have particular tastes and do not drink the same type of coffee. I however, have a large coffee drinking family. I mix espresso coffee with a coarser ground coffee and use cotton knit material as a filter. The water spends a little more time in the filter and the coffee is stronger. When it’s time, I put the grounds aside to deter ants from coming in the house and rewash the filter in the family wash.
We make choices everyday, including the right to be conscientious consumers, and buying and using products that produce such a waste stream can’t be justified as a “wise” choice. If there is time to compost the remains and time to use the little Kcups as seed starters isn’t there enough time to make a cup or pot of shade-grown organic fair trade coffee? Cuisinart makes a single serving coffee maker that you can use K-Cups and the K-Cup filter in. When my Keurig takes a hike, that’s the one I’ll replace it with. The new keurig does not allow the reusable pod which I think is a huge mistake. The older models that allowed this will no longer be made & will be unavailable or so I was told by a representative when I called Keurig. If the older Keurig models will not be available, shame on them. There are other manufacturers of brewers that use original k cups that you can choose from. I think this was their way of getting around the expiration of the original kcup rights…. I didn’t know about this, but it looks like you’re right. Ugh. I was intending this to be more for people who already have Keurig coffee-makers anyway, though, and not trying to encourage people to go out and buy new ones. Sounds like if people really want one from now on they should probably buy used. I understand. My worry is if my current Keurig “dies” and I have k cups to use up and I have my refillable pod, I’d be irked if I could not find a replacement to use the original style cups. With competition, there’s other choices now that use the original k cups, so that’s good for the consumer! i use a machine called the SunCafe. It’s single serve coffee is in a compostable paper like a tea bag. While it does not have such a large choice of different flavours as Keurig, it has enough for my tastes. I consider it a greener option. Very eye opening information, some I was aware of, some I never thought of. My Keurig doesn’t get much use these days, perhaps now it will. I’ll be sharing this article for sure. I have a single serving Keurig and love it, as my husband doesn’t drink coffee. I also use a reusable cup and buy organic coffee. I always recycle the grounds 🙂 and use the machine for tea and cocoa as well. Makes it easy for me, and it looks good in our small kitchen. Thanks for the very informative article! I have been using the ‘Made for TV’ pods for nearly a year now. It is much cheaper. No more pods in the trash until these fail and I can always buy more of the TV pods or the stainless one at Amazon. I also own a Keurig and I love it! I use my own coffee in the little K-Cup filter that came with my first Keurig. I got tired of throwing coffee out that we didn’t use, but never knew exactly how much we might end up using, so always had to make it, regardless. Love my Keurig! 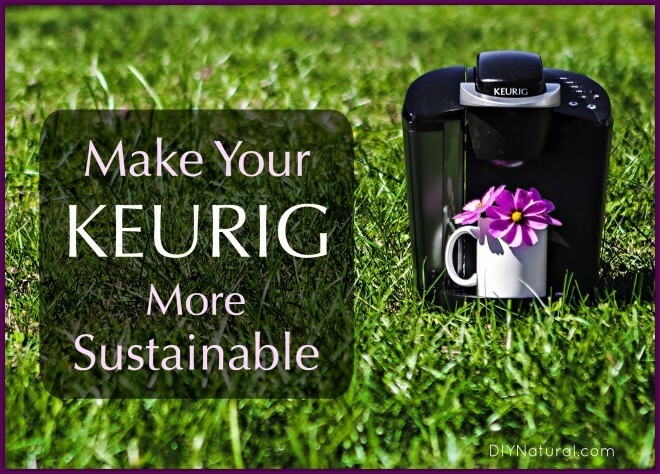 In our household, we make our Keurig more sustainable by doing everything you suggested. In addition to all of that, I also take the coffee grounds & filter out of my k-cup & put it in my composter. I then rinse out the cup & put in my recycle bin. We have a wonderful recycle program in our city that allows for plastics 1-7 in addition to clear glass & cardboard. I still don’t agree with using Keurigs. I use a french press and you can easily change the serving size. “BPA free” means nothing and studies have shown that alternate chemicals are used that often have higher estrogenic effects. Purchasing and using a Keurig continues to support a company that is horrible for the environment. I have a office pro kerig I Luv it. I have my own filter. Although I do buy some k cups. My Keurig was a big saver! I am the only one to drink coffee so half a pot a day at least was wasted! For some reason I just could not get it in my head to only make HALF a pot, rofl. I use a mesh reusable pod mostly. Sometimes when I feel lazy I use a kcup. My coffee grounds are put in a container and put on my gardens. When I use a kcup (or my daughter does at her house) we save the cups, I clean them out recycling the filter. Then I wash and use the kcup for starting seeds! It is the perfect size to start the bigger seeds such as pumpkin, squash, nasturtiums, and sunflowers. Automatic drainage! It IS a pain to clean them up but I do a few at a time while watching food cook. We’ve been using reusable pods for a couple of years. Our Keurig was so old though and we decided to upgrade. Our new 2.0 model won’t accept the reusable pods we have, generic pods or any pods without a certain marking on the box. Very frustrating. We wish we knew how to bypass that but it’s all programmed right into the machine. Admittedly, we haven’t checked to see if Kuerig has reusable pods that are programmed for the machine but we’re sure if they do they will cost a lot more than other options. It may be fine to buy a couple for daily use but we’d still need to buy pods for entertaining. I own a Keurig too. We love the convenience. My husband likes regular coffee and can drink more than I can. I have to restrict caffeine intake, so I drink decaf. Keurig is great because we can each have the type of coffee we want and it’s fast. We’ve tried a variety of reusable pods available for the Keurig and all have been disappointing. We have settled on one made by Solofill, which for us, makes a decent cup, though still not as good as a k cup. After having my Keurig for sometime and using both k cups and the reusable pod, I stumbled upon “The Scoop” Single Cup coffee maker made by Hamilton Beach. We love this coffee maker!! It makes a great cup of coffee. It uses a metal mesh scoop basket and there’s no environmentally unfriendly waste. I like that we can use any kind of coffee in it. It has a small counter footprint and is reasonably priced. I’ve kept my Keurig for making those fast cups of coffee when we are rushed or don’t feel like bothering with scooping our own coffee. That said, we do compost all our coffee grounds from both machines and put them in the garden. We have the happiest worms in the neighborhood. They love the stuff. There are some ways to repurpose the k cup pods too. Internet searches will provide some craft ideas. The pod containers can also be used for seed starters. Genius – I have a Nespresso Machine, I’ve gone on line and sourced a stainless steel reusable pod. Now no guilt and back to my fairtrade organic coffee. Again you are a genius. I use a single serving gadget called an Aeropress and, although it uses paper filters, I swapped the paper for a thin metal mesh filter, so no part of the gadget is thrown away. I get organic coffee and make it one cup at a time and it is delicious. Sure, it takes a few more minutes to make my coffee than using a Keurig would take, but not much. For anyone who prefers really strong coffee, I truly recommend the Aeropress, which you can find locally or online. I have 2 Aeropress coffee makers, one at home and one at work, because they work so well. I have not heard of a metal mesh filter for them though. Where did you find it? I have tried numerous varations of the pod type machines with reusable pods l can’t get the coffee strong enough. So l am back to old school and use my drip machine. To make one cup l use the mug l am going to drink from and measure the water and measure the coffee the perfect cup for me each time. Coffee grounds may add nitrogen and acidic content to the compost… but there are also bugs essential to the composting process that do NOT like coffee… we always just save them up put them directly around our plants to do the nitrogen/acid thing and keep away the bugs that eat our plants, and allow the bugs that like compost free reign in the compost pile.